Are fundraising events going extinct in 2018? As charity auction pros, we have not seen a significant dip in the number of events - but the culture of nonprofit galas is evolving. Donors are getting younger, busier and/or more accustomed to events. It’s time to rethink our approach to special events. Nonprofits need to be more strategic in every stage of planning a fundraiser, and that starts with promotion. 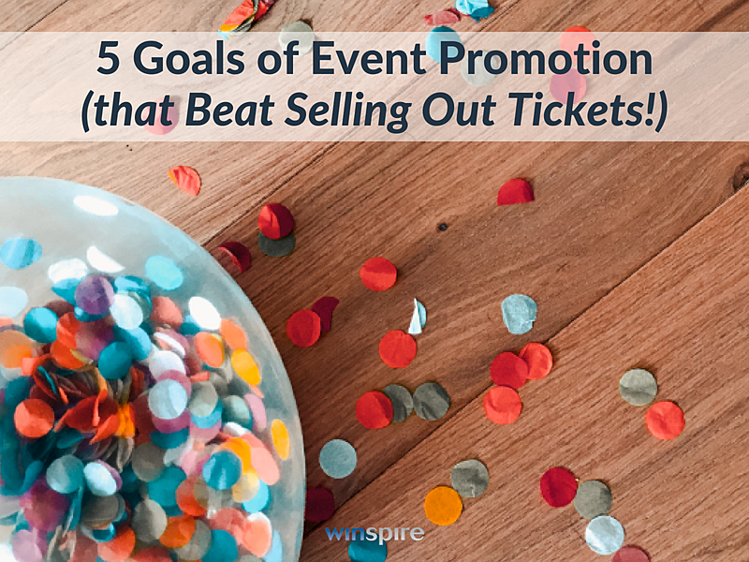 When promotion is done right, events pay huge dividends beyond the immediate funds raised. Keep your mission front and center. Create an event community where yours is the "it" event of the season. Sell enough tickets to cover costs. Goal 1. Understand your target audience. When promoting a charity event, you might be surprised to hear that selling the most tickets possible is not the goal! The number one rule of thumb: Event promotion is all about getting the right audience into the room. In fact, often you’ll find that even if you bring in more numbers, you won’t necessarily raise more money…because you’ve attracted the wrong type of people for your event. Will spend money in support of your cause. Will build your event community. Be sure to discuss the profile of your ideal guest with your entire event committee. Goal 2. Find high net-worth donors. Sounds simple enough, but attracting new high-net worth donors in your community is key for long-term success. One practical step you can take is to monitor sponsored tables. If you're encouraging sponsors to buy tables or offering them as incentive for sponsorship, find out who they’ll be sending to fill the tables (it’s okay to ask!). Ideally they’ll be sending influencers and decision makers to your event - people who fit your guest profile. However, if they’re sending employees, these guests are more likely to come for entertainment and food... not necessarily to support your mission. Consider offering a different reward or incentive, and holding off on sponsored tables. At the very least, do not put those tables front and center for the auction. 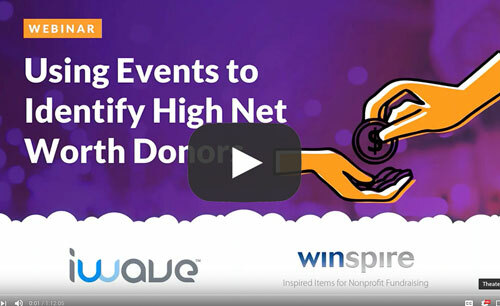 Big marquee items in the live auction - like a trip to Napa Valley or New York City - not only bring in significant revenue, they help you identify potential new major donors. Items of this caliber add instant credibility to your event. They let potential high net worth donors in the community know you expect more people like them to be in attendance, and they garner the “Wow!” response you want from VIPs. So you want to advertise what you are going to offer in the auction well in advance, via promotional emails and social media posts. Goal 3. Keep your mission front and center. Your event may (and should) be an awesome party, but remember this is first and foremost a fundraiser. Throughout your promotional strategy, make sure potential guests understand what it is you are raising money for, and how it fits into the overall goal of the organization. Be sure to include the event mission, striking statistics, meaningful anecdotes and more in every piece of collateral delivered to the public: printed flyers, save-the-date invitations, spoken announcements, press releases, social media posts, sponsorship letters and more. Goal 4. Create an event community where yours is the ‘it’ event of the season. Your event community is the environment where local business owners, executives and leaders come together and spend money in support of your cause. Creating this environment isn’t easy - but it is the number one way to ensure a sustainable event. Fundraising galas work best as prestigious, lucrative social events. For long-term success, it’s so important to sell tickets not to whoever will pay, but those who will build your community. You make people feel like they need to be there. 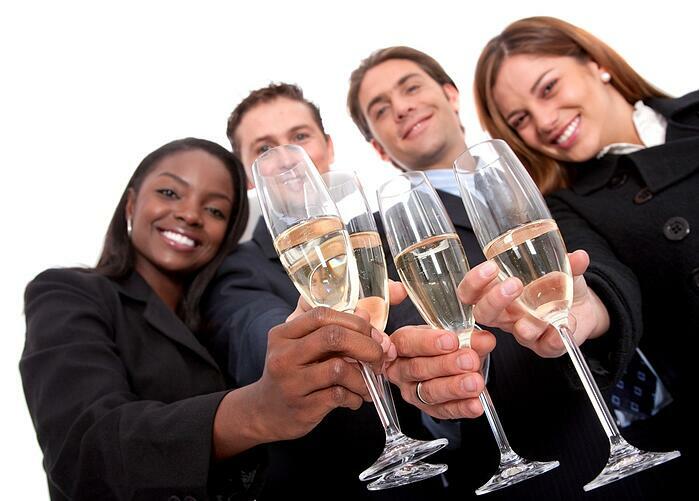 Your event is the “it” place to be for local movers and shakers. To build your event community, clue your VIPs in on who the other high-level guests are that plan to attend. Who is it that supports you in the ballroom? Those who fit your ideal guest profile will flock to buy tickets when they know their peers will also be in attendance. Goal 5. Sell enough tickets to cover expenses. We’ve established that selling the most tickets possible is not your goal, but of course you still want to ensure a profitable event. A good tip for setting ticket prices and quantities, is to sell enough tickets to cover the cost of hosting the event. Two musts: keeping a detailed budget, and knowing the capacity of your venue. The ticket sales will come if you create that event community of which people want to be a part. Once people are invested, they will buy individual tickets, start organizing tables, and take more ownership to facilitate the community they just joined.